He stated this while commissioning the new headquarters of the Economic and Financial Crimes Commission (EFCC) in Abuja yesterday. He explained: “Since 2015, we have made significant progress in the fight against corruption. Everyone now knows that corrupt officials will be held to account, no matter how long it takes. The president sought the collaboration of the judiciary and also urged the legislature to provide the needed framework for the war. According to him, this can be done through the review of archaic provisions in the country's laws and proactive passage of new legislations. He noted: “We must change our ways of handling public trust. Corruption not only kills governments but also destroys societies. It is the major reason we are struggling with basic developmental issues that other nations have long overcome. He appealed to citizens to support regulatory agencies like the EFCC. In his goodwill message, the Speaker of the House of Representatives, Yakubu Dogara, noted that Buhari is not the only graft-free individual in the country. The Speaker further underscored the need for government to insulate officers of the anti-graft agency from temptation by improving their condition of service. As if the President’s renewed sermon on anti-corruption is to prepare the road to 2019, the Kaduna State governor, Nasir El-Rufai, has dismissed threats by members of the New Peoples Democratic Party (nPDP) to exit the APC. He insisted their leaving the party would not hurt Buhari's chances in the 2019 presidential election. 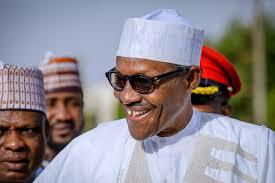 Buhari will win the four states of Kwara, Kano, Sokoto and Adamawa convincingly, with or without nPDP, said El-Rufai. The nPDP in an April 27, 2018 petition signed by former PDP national chairman Alhaji Kawu Baraje and former Osun State governor Prince Olagunsoye Oyinlola had stated its members were being sidelined in the ruling party, and demanded audience with the National Working Committee and the President. Deputy national publicity secretary of the APC and nPDP member, Chief Timi Frank, had cautioned the APC leadership and the President not to ignore the group’s demand for the meeting. But El-Rufai is saying Buhari will win, notwithstanding. “Kano is already in the bag. I mean, if you saw the crowd that welcomed the President without the former governor, Kwankwaso. Kano has always been the President's base. To me, that is not the issue. According to him, “If they are honest with themselves, they know that President Buhari will win those states, with or without them. But if you have a grievance, we are a party, and politics is a game of addition, not subtraction. So, we don't want to loose anyone.